Tropezina has continued her unbeaten preparation, taking out the $250 Inglis Dash at Flemington. Free-running filly Tropezina has continued her unbeaten preparation in the lucrative Inglis Dash at Flemington and will now be given the chance to chase a valuable stakes win. The Henry Dwyer-trained Tropezina was sent out a $7.50 chance in Saturday’s $250,000 sales-restricted race for three-year-olds after posting back-to-back wins at Mornington and Caulfield over 1000m this summer. With Ben Melham aboard, Tropezina bounced to the front in Saturday’s 1100m straight-track sprint and after giving a good kick inside the final 300m the filly held on to defeat the fast-closing Beerz With Clint ($6.50) by a head. Stakes winner Prairie Fire ($19) also hit the line well for third, another half-length away. “I was just worried about her stepping up that extra 100 metres to 1100 but she was able to contain her speed early and went through the first couple of furlongs nicely with her head down in a nice rhythm,” Melham said. “That certainly enabled her to finish well. 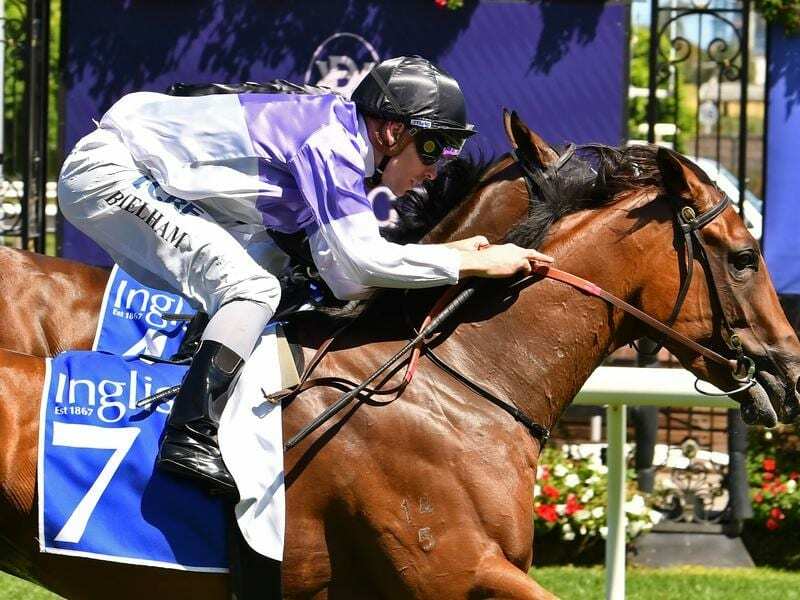 Tropezina will have to stretch her brilliance out a little further at her next start, with Dwyer planning to give the sprinter a crack at the Group Three Kevin Hayes Stakes (1200m) for three-year-old fillies at Caulfield in three weeks.